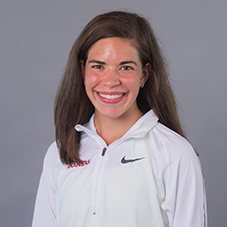 Made her collegiate debut for Arkansas at the UC Riverside Invitational (Sept. 16) finishing 13th overall and seventh for the Razorbacks with a time of 20:27.70 … Continued her season at the Chile Pepper Festival (Sept. 30), finishing first for the Razorback women and fourth overall at 16:48.00 … At her next race, Pre-Nationals (Oct. 14), she finished seventh for the Razorbacks and 56th overall with a time of 20:48.70 … At the SEC Championships (Oct. 26), she ran a 20:50.30 finishing 13th overall and helping Arkansas achieve the SEC Conference Title … In her next outing, at the NCAA South-Central Regional (Nov. 10) she finished 15th overall at 20:21.00, earning her All-Region honors… Endsley wrapped up her first outdoor season with the Razorbacks at the NCAA Cross Country Championships finishing 171st … She ran a time of 21:15.70 finishing sixth for Arkansas. 2016 UIL 6A XC State Championships Runner-Up … Prior to that finish Endsley captured the UIL 6A Region 1 Championships title … Placed in the top-30 at the NXN Championships … Four-time UIL 6A XC State Championships top-10 finisher … Posted top-three finishes in the 3,200m and 1,600m, respectively during her final year competing for Abilene HS … Qualified and placed at the track and field state meet every year of her high school career. Born on May 10, 1999 … Daughter of Ferral and Dana Endsley … Has two siblings; AnnMarie and Avery … Majoring in international finance.